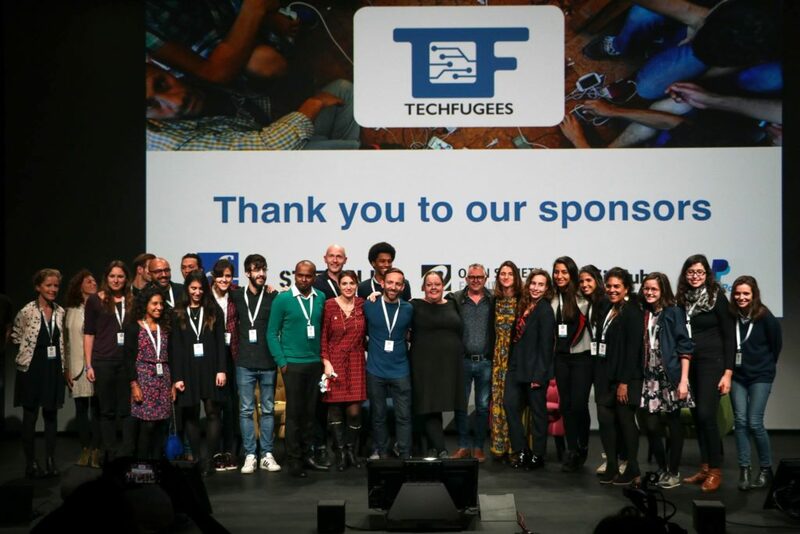 Catch up with Techfugees’ CEO, Joséphine Goube, and learn more about how Techfugees is relocating to the biggest startup campus in the world, in Paris. In a month of farewells and new beginnings, we were all proud to see the graduation of our Techfugees Women Refugee Fellowship. 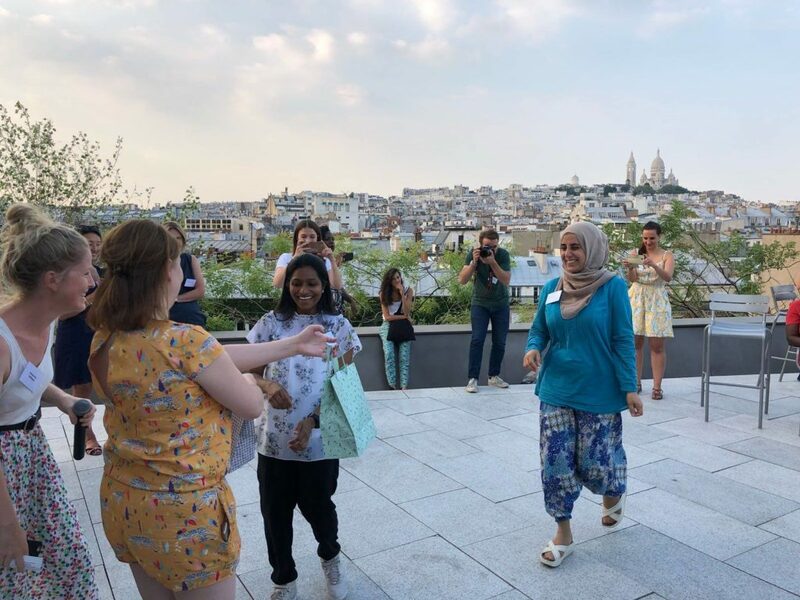 If you’ve been following the programme, you’ll know its success is a testament to the dedication of truly inspiring women, and we look forward to seeing the impact they’ll make in their new home country, France. Never ones to rest on our laurels, we’ve also unveiled our first global challenge for tech innovators working to help displaced people, a huge opportunity for anyone working in tech to show off their creations. 25 finalists will pitch to major NGOs and industry players at our Techfugees Summit in October, with their flights paid for by our partners. Of these finalists, five winners will be awarded a year of personalized support from our international community, collaborating to deploy their technology and put their project in action. If you’re working on something you think could change the world; you’ve got until September 2nd to apply. Of course, our crowning achievement over the last month has been moving into our new home at Station F, located in the heart of Paris. It’s the world’s largest startup campus, filled with entrepreneurs on the same kind of mission as ourselves: finding ways to build a better world through tech. It’s amazing to be surrounded by people who approach this journey the way we do, with ambition grounded in pragmatic solutions. As a non-profit, it’s essential to build relationships with those who get what you’re trying to do without being mindlessly supportive. Station F lets us hook up with a diverse, dynamic mix of entrepreneurial people and share ideas which will work in real life. It will be hard not to miss our desks at the Red Cross HQ in Paris where we co-worked for two months with their innovation team, or our lunches with the lively community of civic tech innovators of the Liberté Living Lab in the center of Paris. Moving forward from these experiences and working environments, our focus now is on finding partners that have a global reach and a long-term vision, both those who want to support us financially and those who are placed to contribute their expertise to the cause. The networks we’re building here in our new home are bringing us closer to those goals every day, with companies like Google, Facebook, Salesforce, ZenDesk, Space Green, BNP Paribas and Microsoft just a few feet away. While building these new partnerships, we’ve also picked up some important lessons in finding and connecting with the right people. Just as important as financial assistance is the experience on the ground that these partners can bring to the table. We have learned to say no and, more importantly, to nurture constructive dialogues with partners so they can match their values and commitment to the refugee cause with their actions. 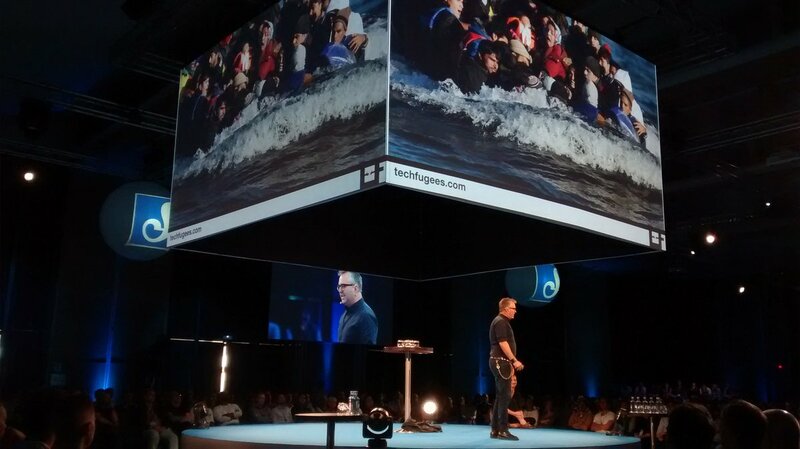 To partner with Techfugees is to be open to thinking differently about what is a refugee (not a victim, nor a hero), and scaling impact for maximum sustainability, not for quick wins. We are interested in corporate partners that are here for the long run and want to gradually invest either more time or internal resources (pro bono employees, software, hardware, desk space) to the refugee cause. It’s a two-way dialogue that isn’t just financial or technical for us; it’s deeply human. What do we look for in our partners? For one thing, it’s about more than just claiming we share the same objectives. There needs to be a consistent dialogue rooted in equality. We look for broad minds, organizations who cultivate diversity (it is always easier to engage with partners that have experienced or have a close experience of forced migration), and the vision to see through the political spin to the human reality of the refugee situation. Wherever these potential partners are in the tech for good sector, whether AI, the blockchain, VR, or whatever comes next, we need to trust that they see displaced people as talented human beings, not just a means to some cheap PR. In return, they’ll be joining forces with an organic movement sparked by grassroots activism. We offer the means to connect with communities in emerging tech sectors, to spark new products and prototypes, and to support innovators around the world. It’s a partnership with a bright future.